Ocean East is located just one block from the boardwalk. 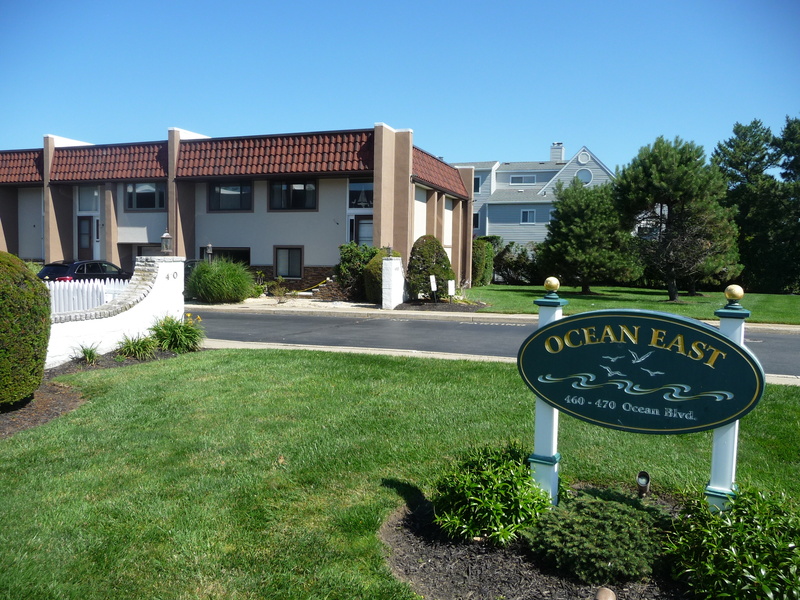 Ocean East is a community of 28 townhouses located on the west side of Ocean Boulevard in the West End section of Long Branch. Built in the mid-1970's, 24 of the townhouses are approximately 1434 square feet, according to the tax records, with the remaining four being larger, ranging in size from about 1750 square feet to just over 1900 square feet. All homes have two baths and a one car garage. The location is convenient, being a block to the boardwalk and within walking distance of both Pier Village and West End stores.